This fortnight's Alphabet Weekend is brought to you by the letter B! 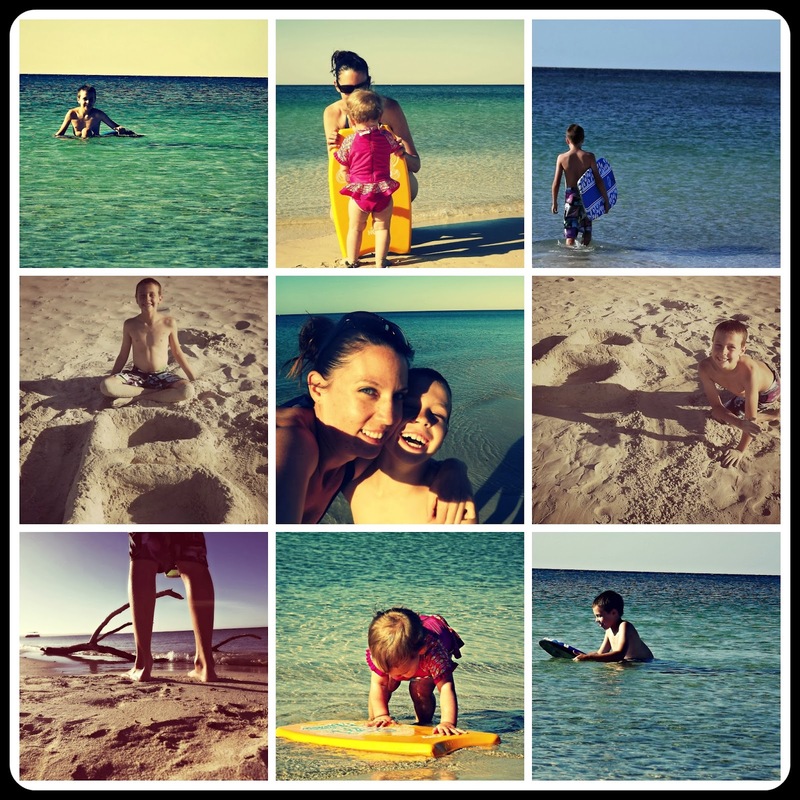 The Alphabet Weekends is a challenge I have given our family to put a bit of pizzazz into our social life in 2014: every second weekend throughout the year, we are going to go on a family outing. The first of these outings started with A, the second with B, the third will start with C and so on, until we have made our way through the entire alphabet. 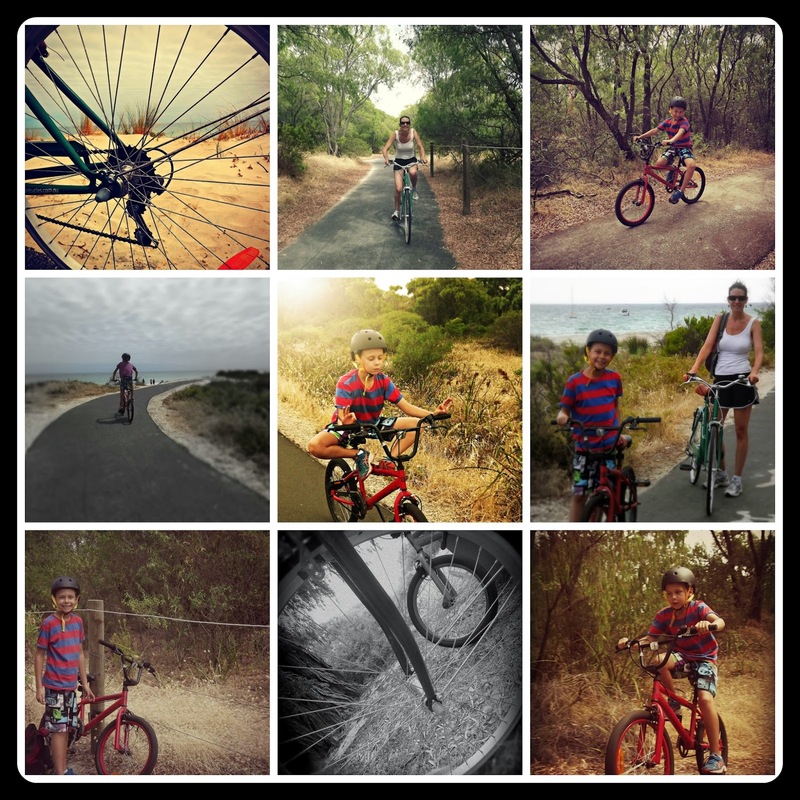 There were actually so many fun things starting with B that we couldn't just pick one and so we decided to go for a bike ride and then do some body boarding at the beach. In preparation for the bike ride, we bought a baby seat for the back of my bike, but we couldn't find a helmet the right size for our baby (perhaps we'll have to do some ORGANISING when we get to the letter O!) and I didn't feel comfortable taking her out without one, so the ride ended up being just mother and son. The morning of our bike hike was quite overcast, which was good because it meant it wasn't too hot for this unfit mamma, but it was also not so good for taking photographs. We ended up riding about 8 km in total and besides one moment when we decided it would be a good idea to hold hands as we were riding along and consequently both ended up crashing into a bush, all went well. 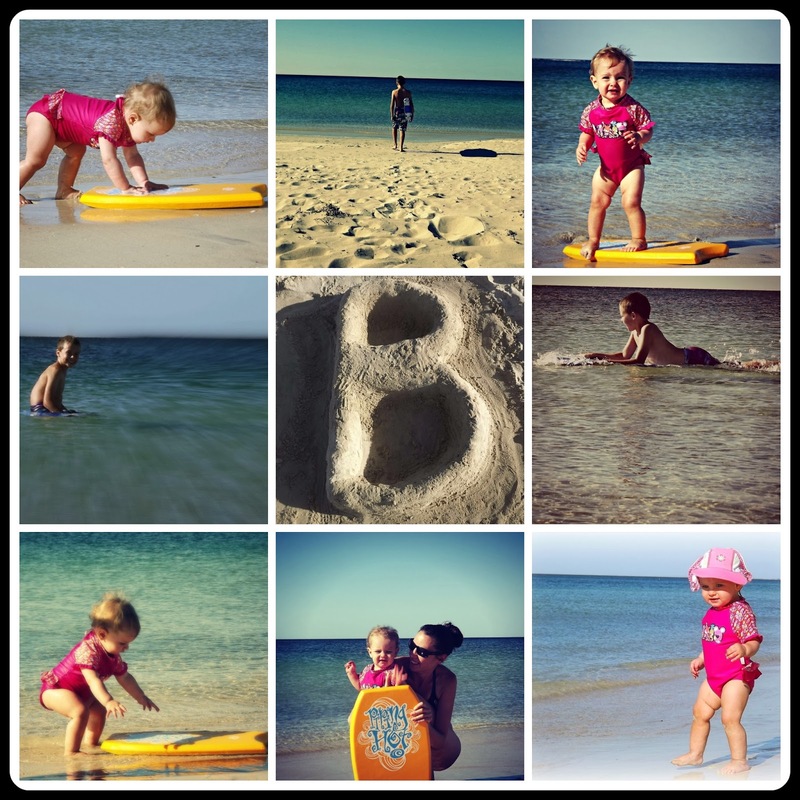 While we we making out giant B in the sand, we took turns thinking of 'B' words. I actually think that building that B and playing a word game with Ben was my favourite part of the weekend. There's something unexpectedly therapeutic about playing with sand, isn't there? 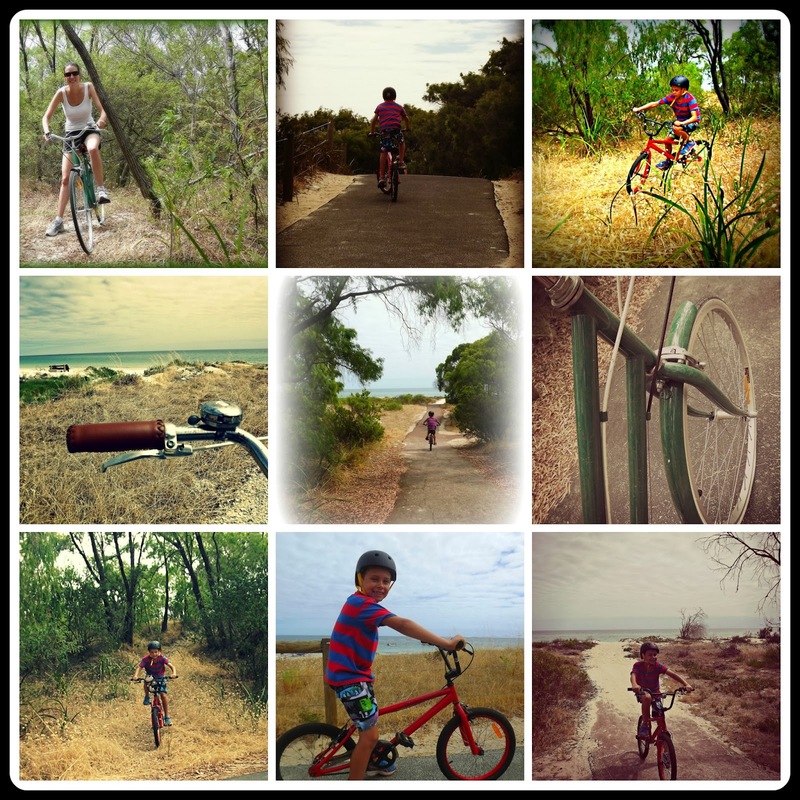 Do you go bike riding with your kids? Have you ever been body boarding? And do you have any suggestions for what we can do next fortnight for C? C is proving to be a lot harder than B!